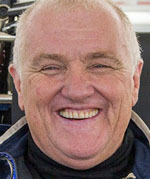 U.K. motorsports enthusiast since the ‘60s, owns and races several F1 cars, sports and touring cars. Established Masters Historic Racing in U.K. and Europe in 2004, now sanctioned by the FIA for the Historic Formula One Championship. Began operation of Masters HGP in North America in 2014, continuing the series originally established by Historic Grand Prix. Masters events in ‘14 included support races at the Canadian GP, Singapore GP, and U.S. GP. 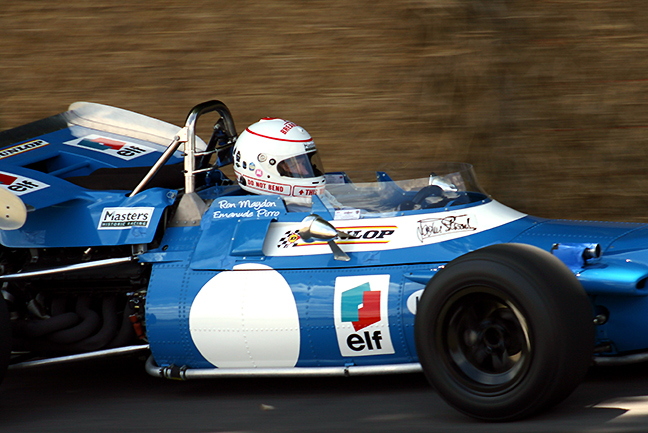 Maydon in the Matra Cosworth MS80.